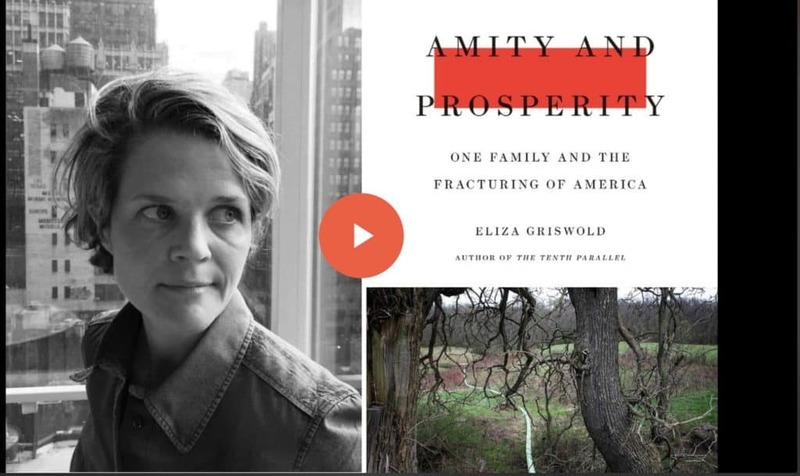 Eliza Griswold, author of “Amity and Prosperity : One Family and the Fracturing of America” joined us for a live recorded discussion about her book on Wednesday, September 12th 2018. Eliza is currently on a book tour : visit www.amityandprosperity.com for tour dates. Once you register you will receive updates via email from Halt the Harm Network. Feel free to share the webinar link with anyone you know would be interested. More details about the book, Amity and Prosperity, from Macmillan publishers. In Amity and Prosperity, the prize winning poet and journalist Eliza Griswold tells the story of the energy boom’s impact on a small town at the edge of Appalachia and one woman’s transformation from a struggling single parent to an unlikely activist.